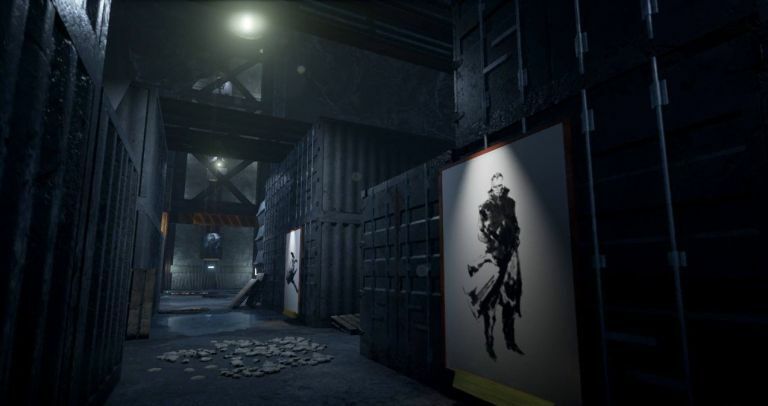 Last year, a group of die hard MGS fans aimed to do the seemingly impossible - rebuild the entirity of the original PS1 classic Metal Gear Solid in Unreal Engine 4. What we saw of it looked incredible, but publisher Konami was having none of it and took legal action to have the project canned. But, you can't keep a good MGS fan down and the team behind the short-lived Shadow Moses, iRAM Gamer, is back with a new project that's combining a love of all things Snake with the immersive power of virtual reality. The Fan Legacy: Metal Gear Solid is a bit like an interactive museum, with different 'wings' dedicated to each entry in the storied Japanese stealth franchise. The team has even solicited the services of one David Hayter, the original Western voice of Solid Snake who added his dulcet tones to the character from Metal Gear Solid to Metal Gear Solid 4: Guns of the Patriots. iRAM Gamer is hoping to recreate classic locations and scenes from the entire MGS saga, once again utilising the incredibly powerful Unreal Engine 4. The team has stated the project is entirely non-profit, but let's be honest, that's probably not going to stop Konami from breaking out that legal hammer again and putting a stop to this fan app as well. It's a shame as we love the idea of exploring the iconic locales of MGS in VR, but we really doubt it's going to make it into the light of day.